Molly Spencer's dad passed last week at the venerable age of 96. There will be a service this Monday, 10:30 am at MPPC. We are delighted to announce the birth of Luke Baros and Olive Beatrix. Luke was born on September 15th at 4:16 pm; Olive was born a minute later. Both are small, healthy, and beautiful. Mina is healthy, happy, and as beautiful as ever. By four feet our hearts and home have grown. We thank God for this lavish blessing. 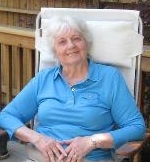 Mom passed away last night (Wednesday, February 3rd) in her home, at peace, and with Dad, Judy and son-in-law Larry at her side. As much as we all came to accept what would be, we're still quite numb by the finality of her last breath. We expect that you may be as well. Put simply, we miss her. In an effort to give family the opportunity to gather as well as ensure as many of Mom's friends as possible may attend, we've set the date for Mom's memorial and celebration of life service for the early afternoon of Monday, February 15th at the First Presbyterian Church in Santa Rosa. We'll post more details as they become known to the CaringBridge website at http://www.caringbridge.org/visit/ginnyclough, and we will keep using this site as a communications hub for the foreseeable future. Thank you all for your support and prayers these last few months. 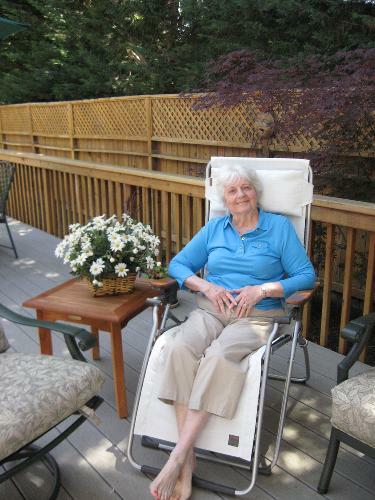 Feel free to post to the website as Mom's legacy continues through everyone she touched. Many of you have known of my battle against cancer. Some may be hearing this for the first time. Early Spring 2009, after several severe urinary tract infections, the doctors decided to do a CT scan. That’s when the bladder cancer was found. Two and a half months after completing a combined treatment of chemotherapy and radiation there was no evidence of cancer in the bladder. I rejoiced greatly at the news. But, two and a half months later, pain returned and another CT scan revealed more cancer. It has been an aggressive cancer from the beginning and will prove to be unbeatable. Don and I enjoyed a wonderful Thanksgiving with Judy, Steve, Bob and their families and look forward to celebrating my birthday the end of December with all. To keep you up to date the family has created a CaringBridge website. You all mean so very much to me and I hope this form of communication works well for us all. Don, Judy, Steve, and Bob. Details are sketchy, but Pastor Frank Jackson passed away after a sudden heart attach on Friday, September 11th, according to his assistant. 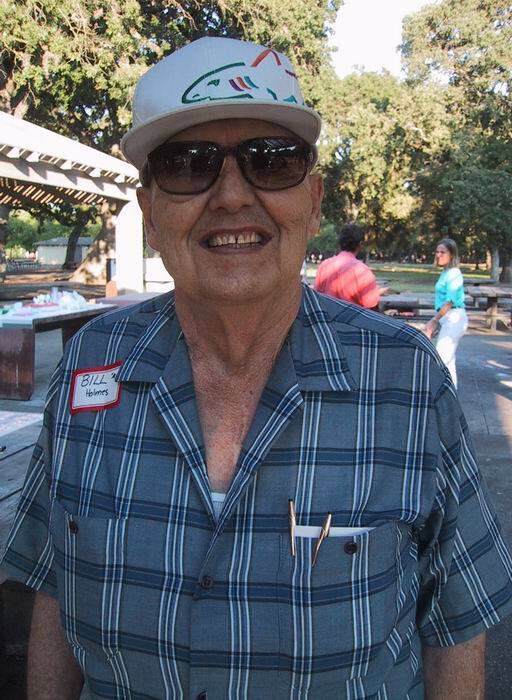 In lieu of flowers, the family requests donations to the service expenses, or to the Purpose-Filled Life Ministry of the Faith Presbyterian Church of Oakland where Frank pastored for 26 years. This is the information we have at this time, and would be happy to post other details. : Please email to Curt Cassingham; address on the home page. There is very sad news to report. Bill Holmes passed away on Friday. As you know, Bill had very fond and warm memories of the Maranatha group and enjoyed the fellowship at past reunions. The Holmes family has asked me to contact you and see if you could pass this sad news to the Maranatha group. If anyone wishes to send a condolence email, Curt Cassingham can provide addresses for Vonnie Holmes (wife), Elizabeth Holmes Akana, and Marilyn Swegart. 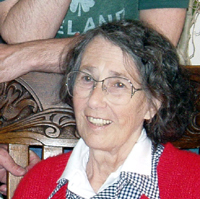 Memorial services will be held on Wednesday, May 21st at 2 p.m. at Menlo Park Presbyterian Church. Born December 23, 1925 Birmingham, Alabama and entered into rest on May 16, 2008. He is survived by his beloved wife Lavonne Holmes and children, Marilyn Swegart of Buena Vista Colorado and her husband Bill, Ken Holmes of Buena Vista Colorado, Elizabeth Akana and her husband Patrick of Santa Clara California, five grandchildren, Diana Stone of Buena Vista Colorado and her husband Sam, David Swegart of Denver Colorado, Alison Swegart of Buena Vista Colorado, Samuel Swegart of Buena Vista Colorado, and Anastasia Akana of Santa Clara California. A graduate of Georgia Tech University, he then went to work for Lockheed Missile and Space until he retired. Bill touched many lives and made many friends. He will be greatly missed by all who knew and loved him. 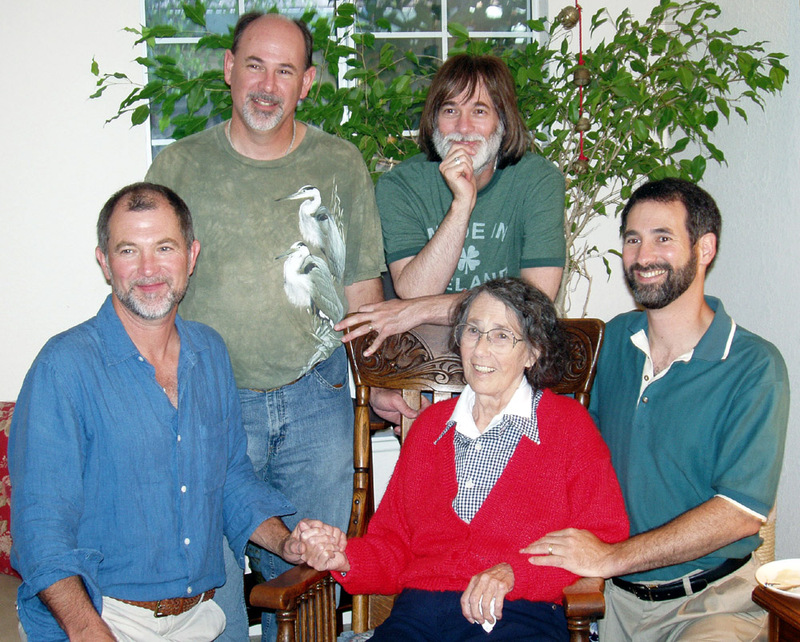 Lynn, Ken, Bruce and Shawn Cooley's mother Joan died peacefully on Monday August 27th. A tribute web site has been created in her memory. Jim Larkin passed away Tuesday, March 13th, 2007. His memorial service was Saturday, March 24th at 11 AM at the First Presbyterian Church of Berkeley. 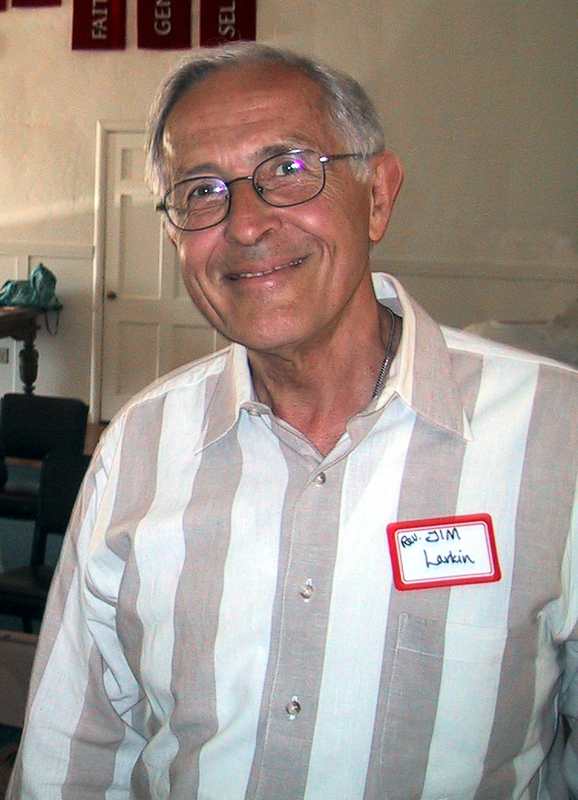 The news in Jim and Lois Larkin's 2006 Christmas letter was that, "Jim found out last May that he had Chronic Myelomonocytic Leukemia, a progressive disease of the blood, treatable but not curable". His treatment included weekly shots and periodic blood transfusions. Everyone, of course, had hoped that the treatments would keep him going much much longer. Please contact Curt Cassingham for Lois' address. Organist Tom Hazleton passed away in his sleep sometime Monday March 13th, 2006, of an apparent heart attack. He was 62. A Requiem Mass for Tom was held Saturday, April 8, 2006, at All Saints Episcopal Church, 625 Pennsylvania Ave. (corner of 6th Ave. and Penn. ), San Diego, California (in Hillcrest). Tom considered All Saints his home church after moving to the San Diego area. Those planning to attend should arrive early as seating is very limited. The Prelude began at 2:30pm. Condolences to the family of Tom Hazleton may be sent to 3224 San Helena Dr, Oceanside, CA 92056-3259. The family suggests donations in Tom's name be made to the All Saints Organ Fund, sent to the above address. Many of us remember Tom's prowess on the Mighty Wurlitzer at Redwood City's "Pizza and Pipes". He made several theatre organ recordings; some of which are available here. As always it is too long between communications from us. In this technologically advanced age information travels so fast and furious that sometimes there is little time to fully assess a situation or event before sending some kind of response. Between my last update and today much has happened that impacts our day to day world. In Sialkot we have had little damage although we continue to evaluate buildings and walls. Our co-workers Rev. Fred and Margie Stock have been at Bach Christian Hospital in Abbotabad listening to patients and offering patients some of the need to grieve and think things through to get started again. On a more personal note we had mentioned several friends and coworkers with whom we had not yet made contact, the good news is that all are safe and they were not greatly affected by the quake. On the other hand, our friend who lives in Mingora, Swat and serves villages more towards the northwestern border of Pakistan, told us of villages above them in the mountains that were yet to be reached by the relief work and of 25 Christian families in Abbotabad whose houses had collapsed and were receiving little if no help. The needs here are immense and overwhelming. Pray for God’s grace to abound and for the opportunities to share the love of God not only in deed but also in word. This whole area covers much ground that has been closed to the mission work of foreigners. The influx of foreigners with the relief agencies has meant a loosening of the restrictions and has done much to dispel false stereotypes in both directions. This whole effort has relief groups setting up for what looks like at least 5 years. I give thanks for the willingness of the world to respond to the crisis here where only months ago the word was “don’t go to Pakistan because of the security risks involved”. Security has been important in all of the effort yet many of the security precautions have been set aside in order to be able to meet the needs of people in a timely and professional manner. While this is true in the north, here in the Punjab state we have been reminded of the volatile nature of the country we live in. I quote from a letter from Mrs. Veeda Javaid, the chairperson of the Presbyterian Education Board (PEB), On 12th November 2005 in the peaceful town of Sangla Hill a mob of around 3,000 Muslims armed with Sticks, Chemicals and Petrol attacked the Christian Institutions. The worst hit was the Presbyterian Church of Pakistan. They desecrated four Churches, a large number of Holy Bibles and set them ablaze. They also attacked the Convent, the Priest and the Pastor houses, completely destroying everything including the ninety (90) years of family records in the Pastors House. A children hostel and three schools also became the target of their “TERRORIST ATTACKS”. Whereby the Furniture, Computers, Children’s Beddings etc, were completely gutted. The mob was stopped by police 100 yards from the gate of the hostel for girls that attend the PEB run school there in Sangla Hill. The Christian High School for Girls was the only Christian institution that did not suffer attack there. We grieve with those who have experienced an upheaval in theirs as big as or bigger than the earthquake and all of its aftershocks. We truly live in a world where people are moving by choice or necessity. It is a place where a solid foundation to our faith becomes a vital need. We are thankful for the many people who support us in prayer as we serve here in Pakistan. It is a part of that solid foundation that we need to have to minister here where instability is often the main theme. The concerns many of you have expressed directly to us or through the PCUSA offices in Louisville have reached us and are greatly appreciated. Both of the recent crises do affect us in the long run and we monitor the situations as much as possible. Our communities, including members of all faiths, in both Sialkot and in Murree are greatly concerned for our safety and the safety of our children. We are thankful to them for their care, concern, and hospitality. Ultimately the security that is stable and unchanging is the security we have in the One who holds our eternity in His hands. As we approach Christmas let us wait in hope, let us live in the Truth of the Good News, and may we know the joy of living in the presence of the King. Please click here for the Brees' web page at Mission Connections. Saturday morning many of us thought we were a bit light headed, a little dizzy, until we noticed that it wasn’t just us but everyone. The ground began to shake. And shake. And shake. For over a minute. Not the sharp brief shake that I had experienced back in California in my childhood but a kind of steady roll. To many it seemed like it would never end. Sitting in Sialkot, miles away from epicenter, there was reason for concern. We are thankful that within the hospital and its grounds there were no injuries and the most damage was dishes falling off of shelves. As you have heard by now there has been much more damage than that throughout most of both Indian and Pakistani Kashmir and the northern areas of Pakistan. As the crow flies (in a straight line) Murree, where Nate and Rebecca study is approximately 30 miles from Ghari Habib Ullah, in the mountains of Kashmir where the earthquake originated. In Murree everything at the school was okay. Just a few cracks but many workers had damage to their homes as many are made of substandard materials and built with little or no safety measures in mind. Much of this area is difficult to reach by car or transport in the best of weather, but the slides that resulted from the earthquake and the following day of rains in Kashmir have made rescue efforts difficult. Friends and colleagues of ours run a clinic/small hospital in Ghari Habib Ullah where they lost windows and some computer equipment but are otherwise okay. Next door the roof of a girls’ school caved in resulting in many dead and injured. Please pray for Dr. Haroon lal Din as he and his wife try to meet the needs they can in the area. Bach Christian Hospital in Abbotabad also lost a boundary wall and is ministering to victims not far from the center. Pray also for Drs. John and Angela Condie as they work to meet needs there. Also we have yet to be able to contact a good friend who runs a clinic in Mingora, Swat. The phones and lines of communication have been difficult. Pray for the safety and ministry of Ruby and Gulzar Tabassum who run St. Paul’s health clinic and Swat Christian Camp in Mansehra District, one of those hardest hit by the quake. There is great fear here and little infrastructure to deal with a disaster of this sort. Few people have ever experienced earthquakes or thought about what to do if they should feel one. This is also true of many institutions. Pray that this may be a catalyst to develop integrated plans of response to fulfill not only our institution’s needs but also to encourage others in the city of Sialkot to do the same. Pray for openness in the hearts of people to hear about Jesus and His love, love that casts out fear. Thanks for your note. My dad, Wayne Bridgeman died on Sept 11, 2004. He was born on August 15, 1924, just 80 years before. He was an elder in the church and worked closely with Jim Larkin on the Evangelism Committee and in the oversight of seminarians. He was an usher at the early service, along with Ed Brandel and a couple other old Marines. He was a veteran who was wounded in the battle for Iwo Jima. He was proud of his service, proud of his sons, loved his wife and his Lord Jesus. He became a Christian when I was 18 and longed to grow more and more in his walk with Christ. He worked Kaiser Aluminium when we lived back East, and then as a stock broker in Palo Alto until he retired. He was a fast friend with Jerry Grant and I'm sure the Lord is saying "Oy! What am I going to do with these two for an eternity!" I look forward to the joy of an eternity with my Dad and my Lord too! Thanks again for your care. His service will be October 5th at 3pm at Menlo. This will be a celebration, I'm sure. "Give thanks to the Lord, call on His name, make known among the nations what he has done, and proclaim that His name is exalted." We have much to give thanks for and reasons to rejoice as we approach the celebration of Christmas. Nate and Rebecca are flourishing academically, socially, and spiritually at school in Lahore. We happily received notice of the extension of our visas for another two years the day after they expired on August 31. Our return has been welcomed with open arms by the community that we serve and great concern that we should ever have had to leave. At the same time there have been many more stretching times and times we have a hard time seeing or understanding God’s purpose in them. Some of these have related to ongoing projects that were set aside while we were gone and others to do with the tight security restrictions that govern our movements and freedom to even to go shopping. We are thankful for God’s grace and provision while we were gone. It has in some ways been a reminder that this work is His and not ours. We are expendable and partners in only one small part in His overarching plan for His world. Many people contributed to taking care of both the office work and the OB/Gyn service while we were gone. Both Carol and I returned with adrenaline flowing and a desire to move some things forward that had been priorities for each of us. Our colleagues have not necessarily been as ready to go and this has been stressful on some of our relationships with colleagues in the work of the hospital. Both us have as well had to come to grips with the issue of exhaustion and setting limits in order to maintain personal and family health. Currently the situation in the country seems to be improving, yet there has been no shortage of security around. We travel out of the hospital as little as possible and only in a hospital vehicle with a driver. Sialkot still seems to be more sensitive because of its geographical proximity to India and its past history. Join us in prayer for a unified vision and sense of ministry for the staff of the hospital. There are many issues that seem to divide staff into small and particular groups. Pray for the ongoing project of reallocation of space that was approved three years ago and is yet to take place. This is now scheduled for early January 2004. Pray for wisdom for me as I seek ways to withdraw from the accounts responsibilities that use up a large part of my time. I am hopeful of being able to focus in the purposes for which I accepted my position, the purpose of facilitating the growth of our employees in the areas of personal, professional and spiritual growth. Please lift up the need for more trained staff and the ability to maintain the staff that we have. Very attractive offers from the Gulf States, the United Kingdom, Canada and the USA have lured many of our best teachers and trainers to those lands in order to fill the nursing shortages there. Yet this creates more than just the need of a nurse, it leaves a hole in the training system as well. Continue to pray for more female doctors. At this time I have hired one young man to serve in the accounts department and am hopeful that a second will accept the offer to work with us. Pray that this addition might have the desired effect and that they can pick up our system quickly. As I have prepared to lead in worship and studies during Advent I have once again been challenged by the following words Jesus spoke to His disciples, “As the Father has sent Me, so send I you.” (John 20:21) As we celebrate Christmas this year may we learn what it means to be sent out as He was. After a year of problems in producing a Maranatha Reunion Memory Book for the 2002 Reunion (with updated addresses, What I'm Doing Now, etc), we've come to the regretful conclusion that we cannot produce one. We had several setbacks in the last year, all of which we optimistically said we'd recover from. The most significant one, however, was a computer hard disk problem which would mean, if we DID produce the book, the possibility that too much of the data within would be inaccurate. Mean time, as you know, we cashed everyone's checks, and the money is still in the Maranatha bank account. We're prepared to refund everyone's money. Just drop an email to Karen Irwin. Or, if you'd rather we just keep it toward expenses of future reunions, just let us know that. If you live in another country and might have trouble negotiating a US check drawn on a US bank in US dollars, please let us know how we may accommodate your refund. Again, we apologize for it coming to this, and hope no one is too disappointed there's no book. If at some point we are able to recover and restore all the data so that a book is feasible, we'll contact everyone and start over!